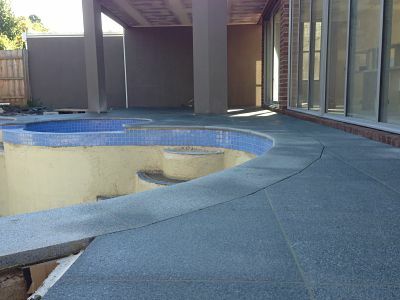 If its a new custom built concrete pool your after there is no need to look any further than us. We co-ordinate the entire project from the excavation and concrete pour, right through to the pool tiling and rendering, pumps and filtration, perimeter paving or decking and pool fencing. You deal with the same builder and contractors throughout the entire project so there are no delays during the construction. 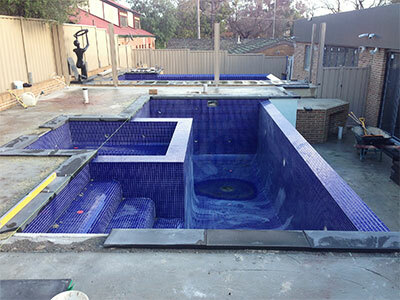 Building a new pool is an exciting time and we aim to make that experince pleasurable and fun so as when its done you and your family will be able to enjoy it. Visit our pool construction site www.pioneerpools.com.au for all information and current projects. Pioneer Pavers are the pool renovation specialists, we can totally transform your old dated pool to make it look better than new. Just like constructing a new pool, we co-ordinate the entire project whether its a full pool and landscape renovation or just a coping and waterline tile replacement.